We have another chance to show President Donald Trump and his administration that our resistance is doing more than bringing people to the streets—it’s bringing people to the polls. A special election in Georgia for a Congressional seat that opened when Tom Price was confirmed as Trump’s health secretary will be held on April 18th—and Democrat Jon Ossoff is currently leading both of the major Republican candidates in the polls… a true testament to the powerful grassroots resistance to the Trump agenda. Right now we have the chance to flip this seat and change it from being a conservative stronghold to one held by a progressive champion. We can show Trump and his cronies that we will resist their harmful, discriminatory agenda in every way possible—from marching, to defending the ACA, to winning elections in previously “unwinnable” districts. This special election is a critical moment for the resistance—it would be the first electoral win for progressives in the wake of Trump’s election, so we need to harness the anti-Trump energy we’re seeing across the country. 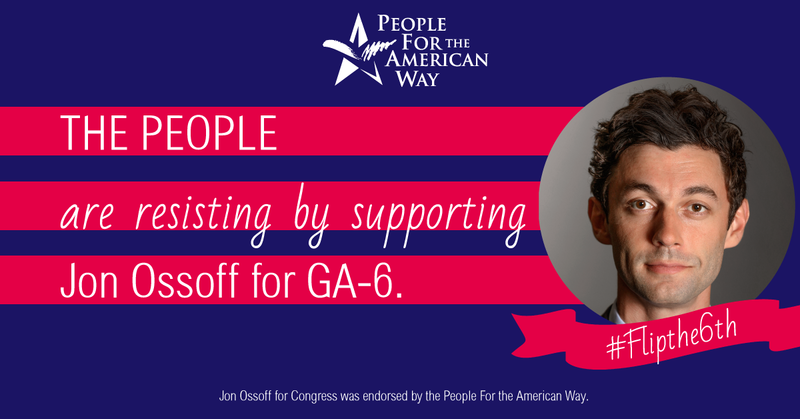 Last week we announced our endorsement of Ossoff, a progressive running for the seat. 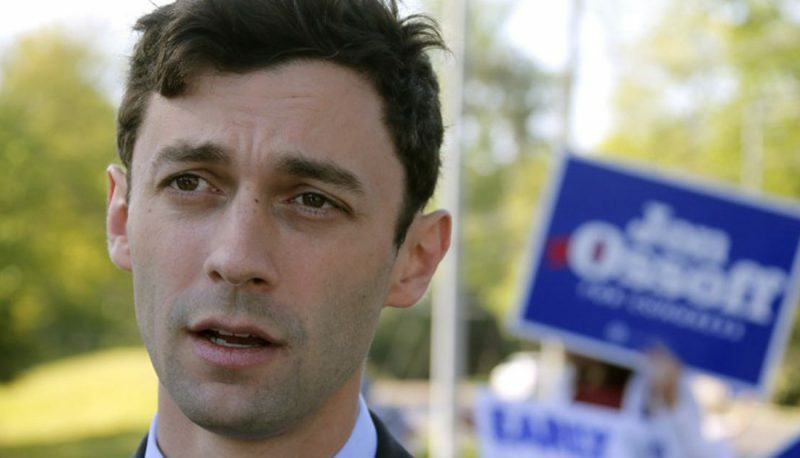 Ossoff was born in Georgia and raised in the 6th district. 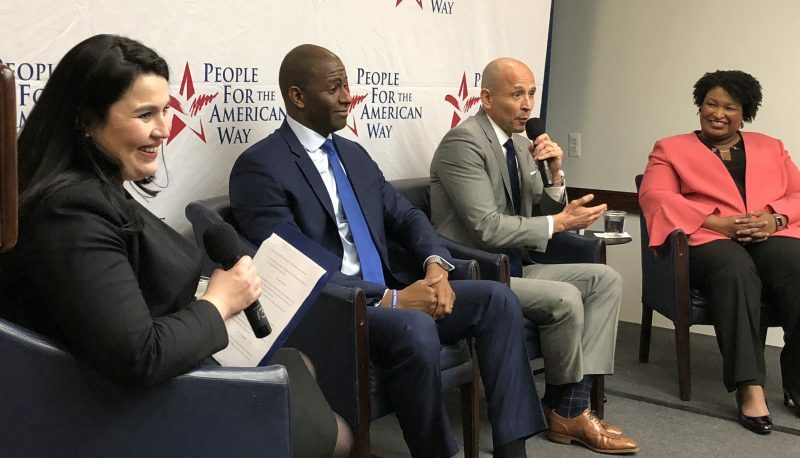 He worked for civil rights leader Representative John Lewis and represents the kind of candidate we need to see in the Trump era—one who is dedicated to getting money out of politics, defending reproductive healthcare, and protecting civil liberties and civil rights for all Americans. There’s a good reason that Ossoff’s race has become symbolic of the anti-Trump resistance – one of his campaign slogans is “Make Trump Furious.” If that doesn’t show he’s a candidate of the resistance, I don’t know what will. Despite this historically deep-red district, Ossoff has lead in first place in the polls. With 13 Republicans and five Democrats running in Georgia’s jungle primary, Ossoff must either win with over 50 percent next month or finish in the top two and then clear 50 percent on Election Day in June. We have seen the Trump administration take hit after hit recently. His discriminatory anti-Muslim ban was frozen by federal judges not once, but twice. His attempt to “repeal and replace” the Affordable Care Act went down in flames. His campaign’s connections to Russia are being investigated by both houses of Congress and the FBI. He has no legislative achievements in the 68 days he has been in office. 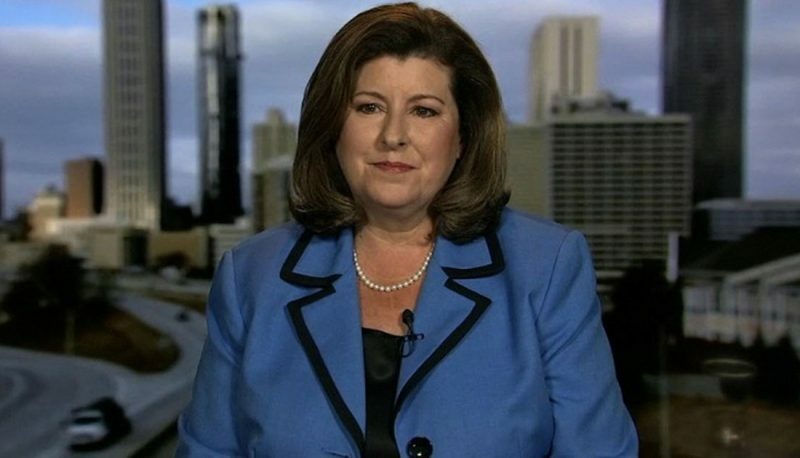 Our backlash has been fierce, and flipping Georgia’s 6th district will give this resistance yet another win we deserve. 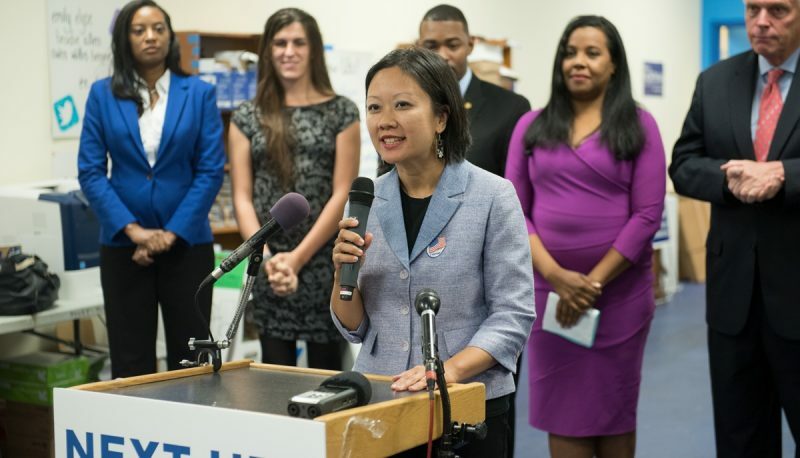 If you live in Georgia’s 6th district, early voting is already underway and open until April 14, so make sure you get out and vote early! And if you don’t vote early, make sure you get to the polls on April 18 to cast your ballot for Jon Ossoff.